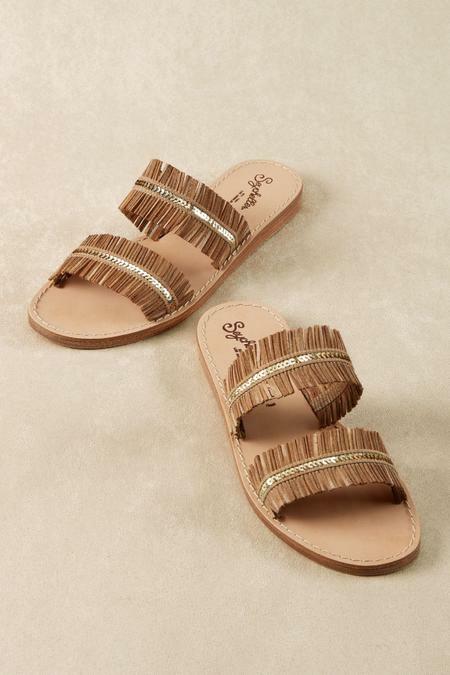 Rustic, textural faux leather fringe contrasts with strips of shimmery silver sequins in Seychelles' double-banded slides, perfectly crafted with a cool leather lining and footbed on a synthetic sole. Subtle everyday sparkle to wear now into fall. 1/2" heel.